Vicky and Rachel work in the pre school. They are very skilled at creating a warm emotionally safe environment in which our children can play and learn. The extra space that they now have means they can really give all the learning areas the space they need. Our new sensory area wraps around the sofa in the reading corner. 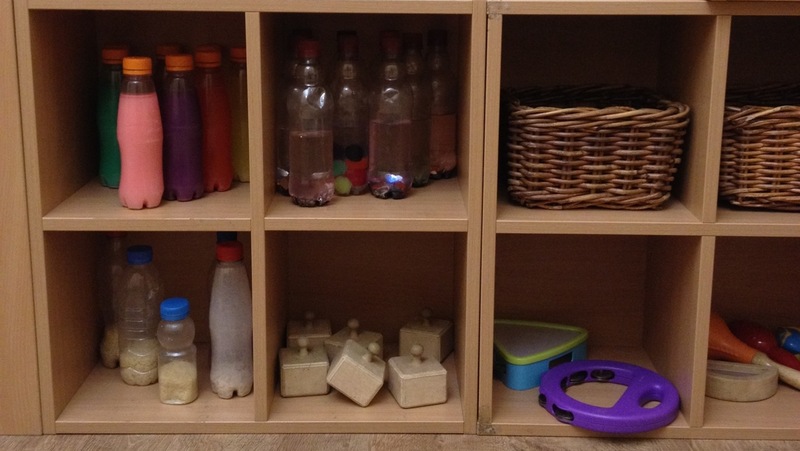 There are books on the senses that the children can read with adult carers one to one or in small groups and on the rest of the shelves are objects that relate to the five senses. There are shakers, colour bottles, instruments and lavender from the garden. These objects are used as a stimulus for conversations, and helps your children learn to communicate their thoughts and ideas with their peers and adults with confidence.